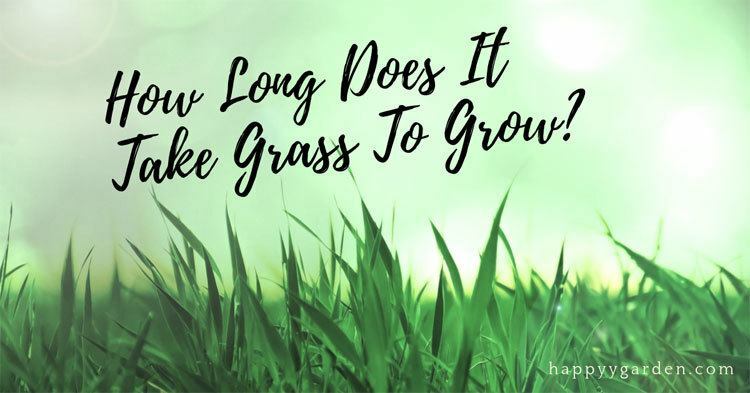 How Long does It Take Grass To Grow - What is Germination Time? » How Long Does It Take Grass To Grow – Are You Willing To Wait? I feel you. Do you know that it feels like forever waiting for your grass seeds to grow? The excitement and anticipation keep your patience short. Hence, you may feel better learning more about it. Facts may not be as simple as you think, but you will know what to expect and what the right things to do until you see the first glimpse of the green sprouts of grass. What Does It Take To Have Successful Germination? The period that your grass seeds take until it grows is called germination time. Each grass seed differs from the other. What type of grass seed do you have? See below and know what to anticipate. Realize that the seeds will all sprout at the same time. Take note also that you may have acquired seeds with different mixture (hardwearing or high-quality mix). However, if you observe that it fails to show up after the estimated germination time, there might be something amiss. Find out what went wrong. There may be other factors that you have not considered essential to let it happen or may cause a delay of germination. Soil temperature and water are the two vital factors that you should prioritize that significantly contributes to successful growth. Per my research, the ideal soil temperature is at least 8 degrees Celsius. Yet, the right soil temperature could be complex since it involves knowledge about the type of grass that fits for every season. Below are the categories of the existing grass for your guidance. Notice that cool season grass grows faster than the warm season. Put in mind that whether it is for the cool or warm season, the grass will grow within an average of 1-4 weeks. That would mean warm season grass should grow well at areas that are constantly warm around 85 degrees F. The cool season grass, on the other hand, thrives healthily at areas with an ideal temperature near to 65 degrees F.
However, when watering your lawn, especially when your seeds are new, make sure to provide the right amount of water. Take note that not enough water will dry the seeds out, while too much will drown or rot them. Either of the two situations will prevent your grass seeds to grow. Ideally, making the top of the soil (2 inches) when watering the seeds is enough to support germination. If you have not spread the seeds on your yard, it would be best to water the ground first before doing so. Do not water too much that it will create a pool on your lawn and make it muddy. If you did, wait until the ground is moist enough to spread the seeds. Do you know that buying the grass seed is not that simple? There are different varieties out there for you to choose from. It is easy to identify whether it is for warm or cool temperature type, but it is difficult to know if it is of high-quality. When you buy your seeds, you can ask for assistance and orientation about the seed quality and what they offer. 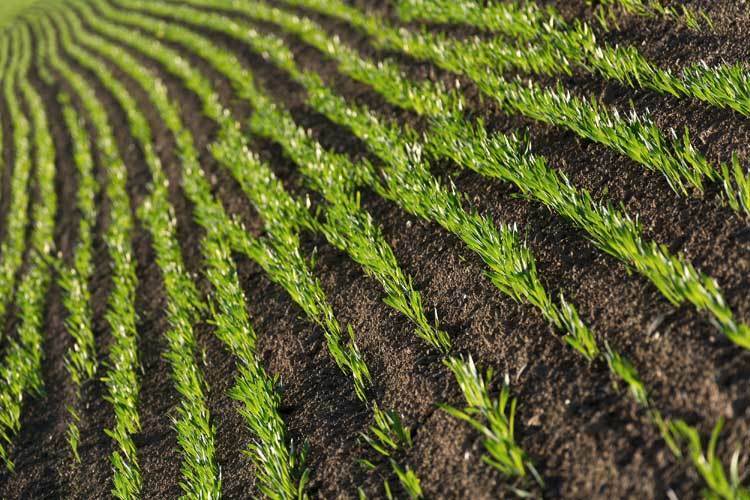 There is a range of high quality and specialist grass seeds that have different qualities that is an advantage, especially regarding germination. Choose the type that requires less maintenance and promises a high percentage of successful germination. You cannot just spread your seeds on your ground without preparation. It is best to make the area clear and ideal for the grass to grow. Keep the soil in top condition before seed planting. Take out existing vegetation, rocks, and debris around. Clear your ground of moss, weeds, and diseases as well. If you are not confident in your yard’s soil quality, you may opt for starter fertilizer. 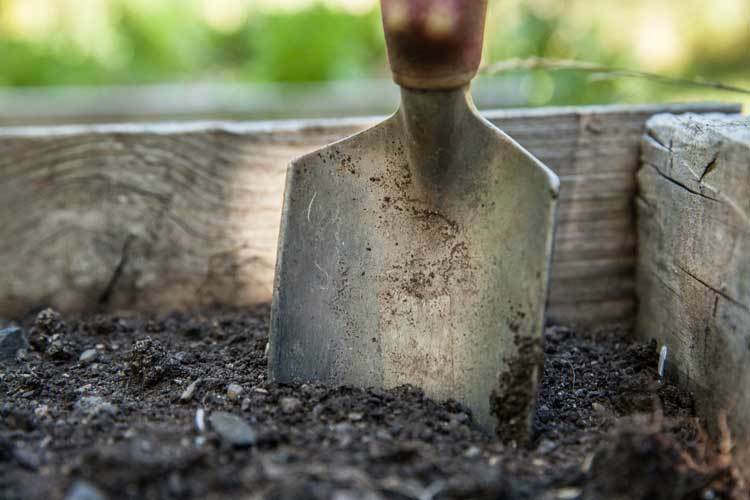 Lastly, loosen the soil with rake, spade, or tiller. All of these will boost the growth of your grass seeds. Waiting for the grass to grow is quite a challenge for me. However, you can take it off your mind by taking care of and protecting it. Besides the watering, do not forget that your grass seeds need protection. Guard it against birds, people’s trampling on it, weeds that grow faster than your grass, and other risks. Always plant your seed in the right season. Are you reseeding or replacing? Make your ground an ideal place for your grass to thrive. Shower the seeds with just enough water. Protect the seeds from birds and other threats. Never use pesticides or weed killers unless under the supervision of an expert. You may be interested in learning about pregermination. Hard work always gives sweet rewards. It would take you plenty of patience, effort, research, money, and time before you see the first peek of green grass in your lawn. And that is not all. To maintain a healthy lawn, you must continue doing what you have started. It takes commitment, diligence, and passion for making this happen. Do you believe when someone tells you that you have a “green thumb”? I do not! However, knowing how to take care of plants is the key to a beautiful garden. Learning the right seed to plant, following the correct guide on how to take care of it, and finding out when it will sprout is the secret of it all. Understand the significant factors in growing grass and remember the tips on how to do it right will help you get there. Good luck! 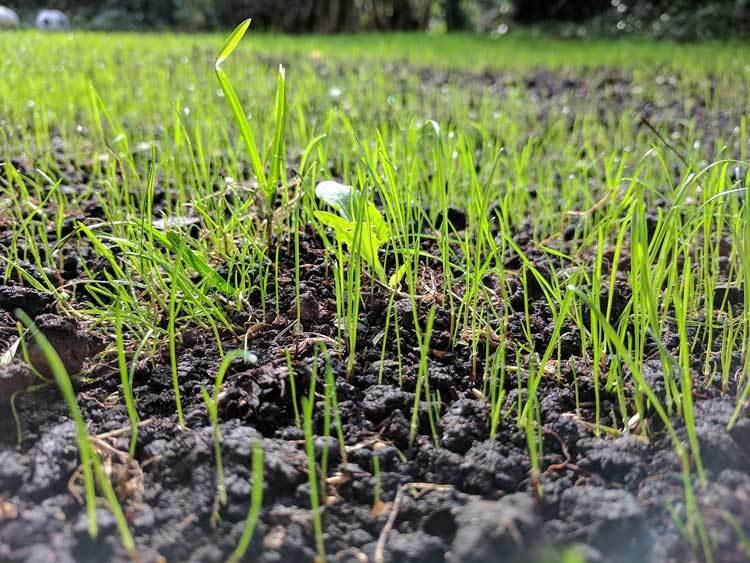 Previous Post Best Grass Seed for New Lawn: Top 5 Choices for 2019 Next Post How Long Does It Take To Grow Wheatgrass – What is germination time?